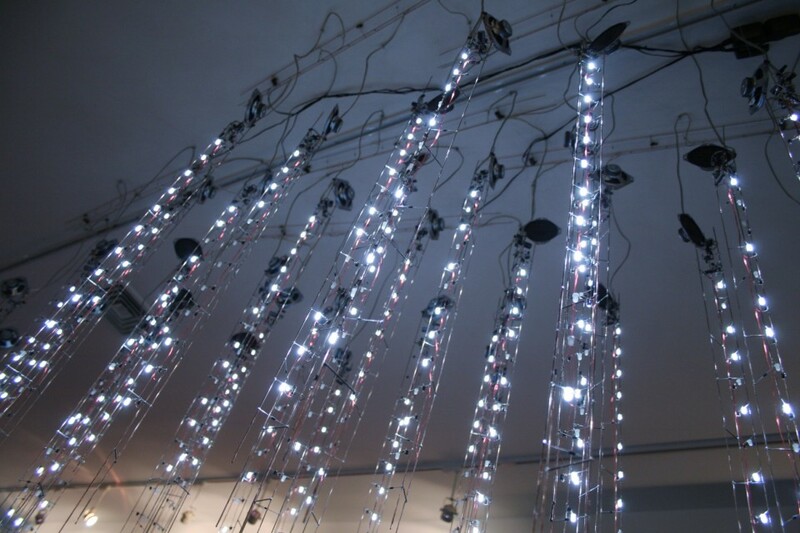 Deluge is a sound and light installation that depicts the white noise of unoccupied radio frequencies as a showering rain of light. As digital technologies become more adept at reducing interference and noise through omission and censorship, we are quickly losing touch with unmediated white noise, that static hush in between the stations, and playground for the imagination. Many antenna like structures, LED strands are clustered together, each representing the activity of the broadband white noise being picked up by simple transistor receivers. From these discrete elements, a cloud of lights is formed, filling the space with a form activated by the absence of pre-determined content. 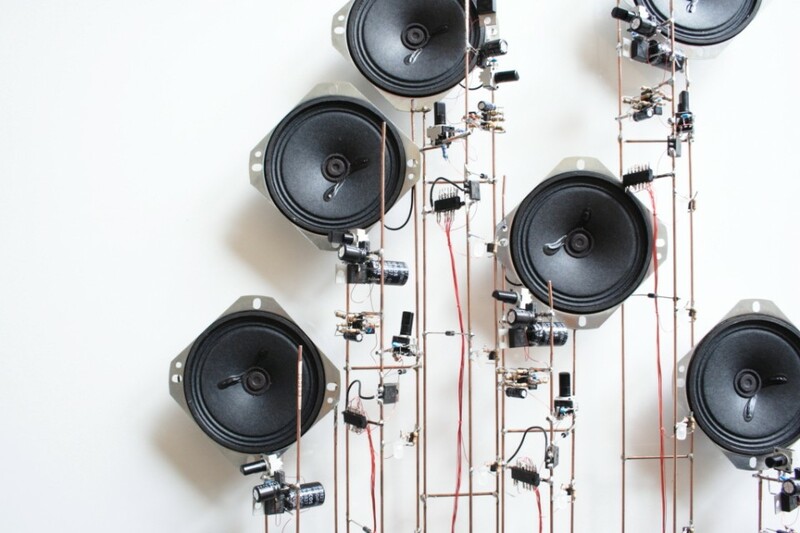 The sculpture plays on the poetics hidden within the language of both analog and digital electronics. 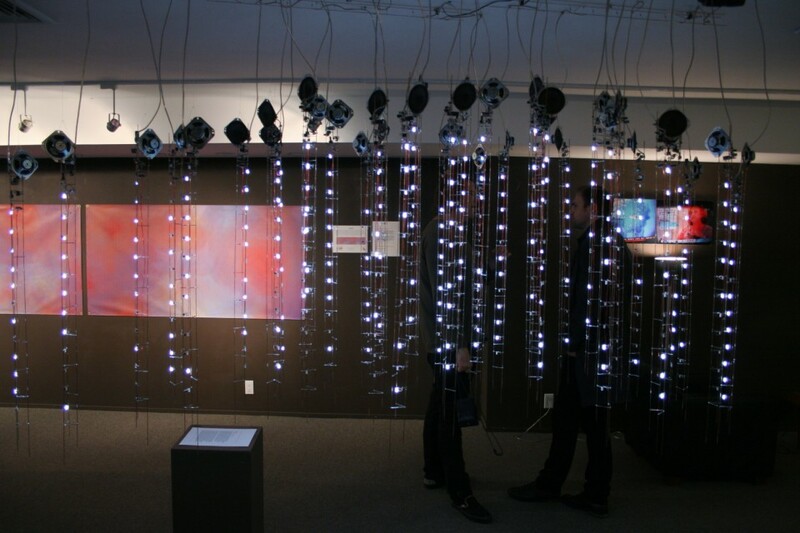 Deluge consists of 35 hand made modules, each containing a transistor receiver that generates white noise, an amplifier w/ speaker, and 12 LEDs. This project was exhibited as part of the Transmittal group show curated by Galen Joseph-Hunter for Free103Point9 at Greene County Council on the Arts Gallery in Catskill, NY (April 29th – June 2nd).